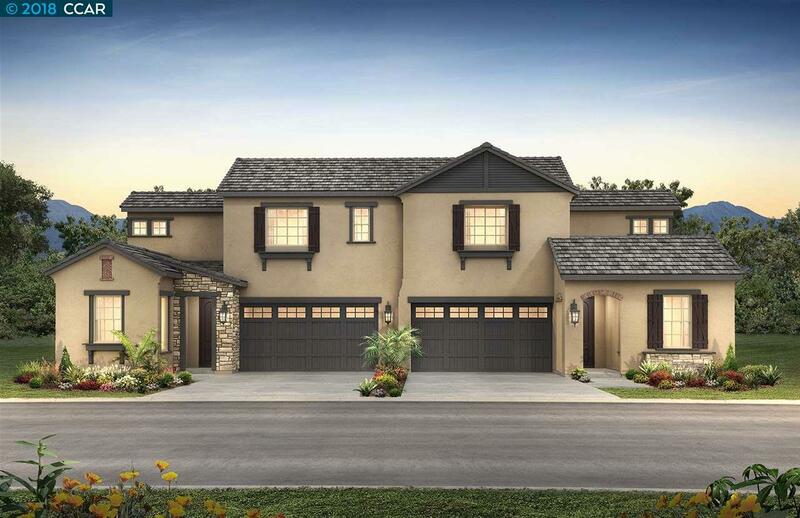 New duplex home to be completed in April 2019, located in Barcelona by Shea Homes, a new home community just an hours drive from San Francisco. An intimate clubhouse will sit at the heart of the community and feature indoor and outdoor areas. Home has: Bedroom and Bath at Loft, Chocolate Stained Whole House Cabinetry and Gourmet Kitchen Cabinetry Package, Quartz Kitchen Countertop with Designer Tile Backsplash, Upgraded Engineered Marble Bathroom Vanities, Undermount Kitchen and Bathroom Sinks, Rear Landscape Package with Artificial Grass. Construction: Shea Homes, Inc., (CSLB #672285). Barcelona by Shea Homes, is a community intended for occupancy by at least one person 55 years of age or older, with certain exceptions for younger persons as provided by law and the governing covenants, conditions and restrictions. Electricity production via photovoltaic (PV) panels. PV system subject to 20 year lease with Solar Provider. Seller may provide lease payments as inducement to buyer. Listing courtesy of Melissa Chatterton of Shea Homes Marketing Co..